You can repair all Mercedes cars as dealer do using this item This is the highest quality MB Star Compact 3 multiplexer that you can buy. We have tested many bad ones from china that lock up during firmware update because of poor quality cables and communication issues. They all look the same but if you buy the wrong one, get ready to spend a lot more time and money not to mention loss of business. Look at our recent buyers that have purchased our product in our feedback page or the bottom of this listing. Star2000 is the professional diagnostic equipment for Mercedes Benz cars manufactured after year 2000,it is the replacement of HHT. Star2000 operates based on the Windows XP system,it includes workshop information system(WIS system),the movement management system(STARUTILITIES) and the Diagnosis Assistant System(the DAS system). It is also called Benz Compact3 Star when it is with RS485-RS232cable. Reading trouble code erasing trouble code live-data adaptation component testing maintenance information consultation component location diagram wiring diagram. 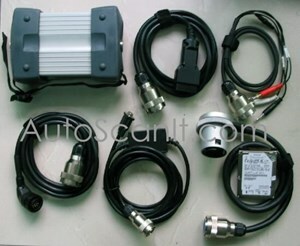 Supply the whole view of the wiring diagram in a car, component location diagram and maintenance method. What you do is to enter the chassis number, and then you will get the manufacture data, engine configuration and the car model -all in detail. ST Finder Part location finder. THE SOFTWARE CAN BE CHANGED TO OVER 20 LANGUAGES BY TWO EASY STEPS, JUST HAVE TO PUT THE COUNTRY CODE AND YOU CAN CHANGE IT TO THE LANGUAGE YOU WOULD PREFER.